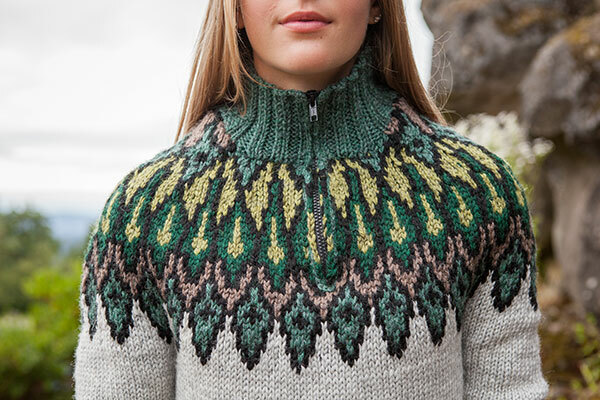 Hearty enough for the fjords and stylish enough for the lodge. 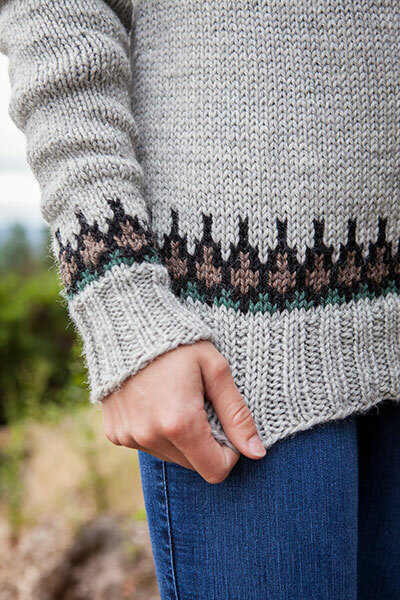 Inspired by the traditions of Iceland, the multi-colored geometric yoke shows a classic design with warm, rustic appeal. The extra-long yoke gives plenty of room for movement, while a zipper adds practical versatility. 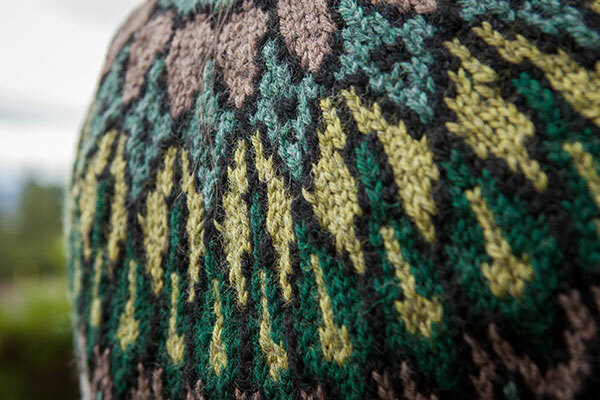 The Baldrun Pullover is worked in the round from the bottom. 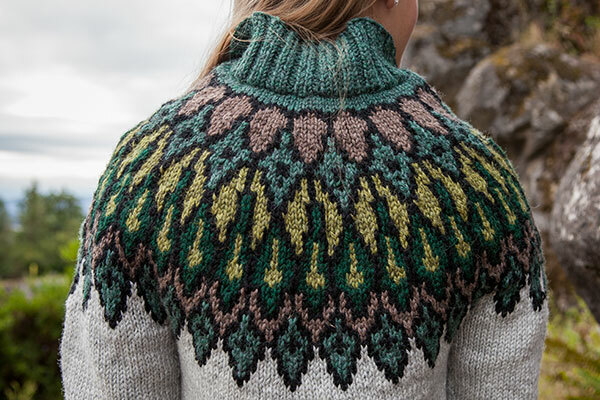 The stranded colorwork yoke includes some three-color rows and a steek. After the steek is cut and collar knit on, a zipper is sewn into the front opening. 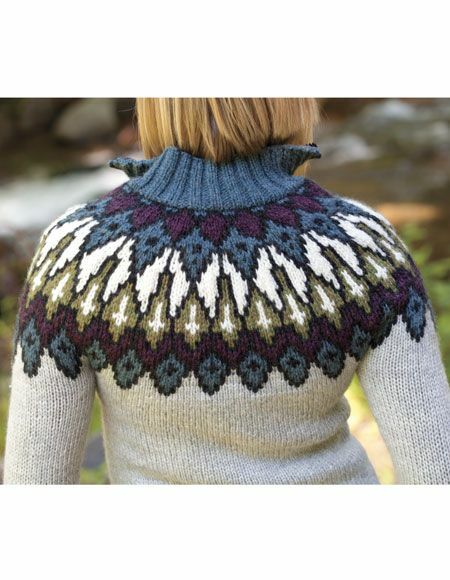 This pattern is fully charted and requires steeking. 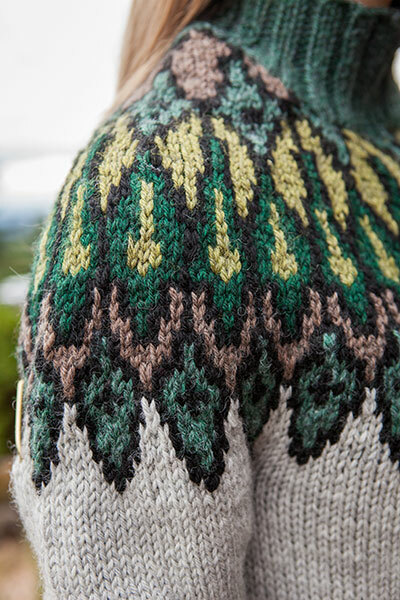 Additional images show version from Northern Lights in a discontinued yarn.